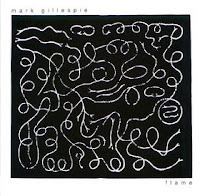 Mark Gillespie is an Australian artist I know nothing about. There is very little information about him online too. He must be a pretty nice bloke though, because it seems he's spent more time in his life focussed on helping those less fortunate than him. However, his musical legacy is why we're here. 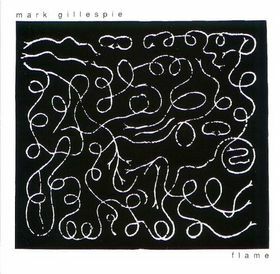 I guess the best way to describe Gillespie is like an antipodean Eric Clapton but without the chops. If he were playing other people's songs, the sound would be the sort found on any Friday or Saturday night in any suburban pub still capable of putting on a live band. The sort of places I avoid. In 1992, when Flame was released, I had a habit of going out dancing on a Friday and Saturday night. Before I left, at about 11 pm or so, I'd set the video recorder (remember them?) to record rage, the all-night music TV show, for me to watch when I got home. Fridays is new music night and Saturday features a guest programmer. And that's where I saw the video for Flame (the song) and became obsessed. The video of that song got played over and over, and eventually I tracked down the album, to play the song itself over and over. And putting the CD on the other day brought that feeling back to me. It's a startling song, opening with I heard you had a bad disease/ that you picked up overseas. Not your usual pretty pop song and his voice is low, sleazy and sardonic, with some really interesting guitar-picking lines. But then the rest of the album kicked in, and I remembered why this CD's been consigned to the "don't play" list. The other songs are nothing like the title track. They're just - ordinary. A bit like this video that I found on YouTube from 1979. Apparently he has a kind of a cult following here in Australia, but I'm not one of them. Geez, you'd reckon with 2 points of view that one of you might have managed to get it right! Clearly both points of view begin their journey from the posterior region! Yeah, gotta love a person who makes snide comments but won't identify themselves. STFU troll! How powerful are music videos for a song?